The best content marketing strategies are informed by data and one of the most consistent B2B marketing research reports chock full of data comes from Content Marketing Institute and MarketingProfs. 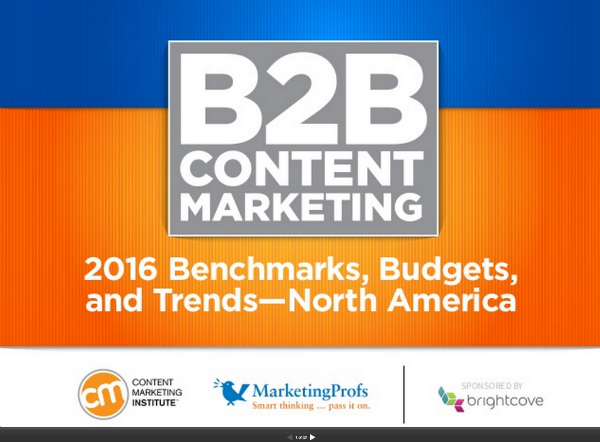 Today the 6th edition of the B2B Content Marketing – 2016 Benchmarks, Budgets and Trends – North America report was published revealing a canyon of difference between successful content marketers and those that seem to be lost in the wilderness. This report is also a reality check for content marketers that drink too much of their own kool-aid, offering a mix of slightly downward trend data right along with numerous reasons for future content marketing optimism. What do I mean by reality check? Fewer marketers have a documented content marketing strategy than last year 32% vs 35% and less marketers see their content marketing as effective 30% vs 38%. The relationships that we form with other people are an inherent part of being human. Some relationships stand the test of time while others become a distant memory. Relationships (good and bad) are not bound to our personal lives. Every day your interactions with coworkers, customers and other business contacts work towards building strong professional relationships today. One of the larger investments that many organizations make today is in partnering with a digital marketing agency. The job of an agency is to understand who you are as a client and translate that message in a way that helps your brand better connect with target customers. Unfortunately, while 90% of agencies say they truly understand their client’s business, only 65% of clients agree. Effective content creation requires more than setting goals, implementing a strategy and creating your assets. For content to really be great, your audience needs to see it. One of the most effective content promotion mechanisms is the use of social media. 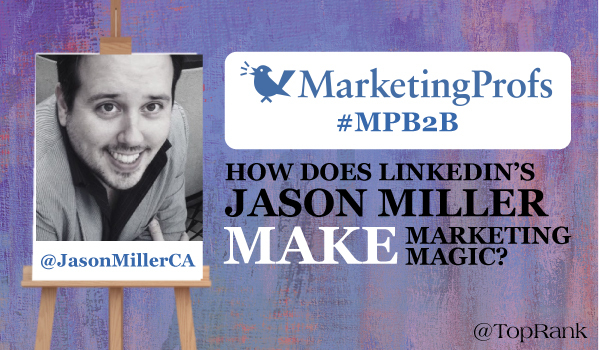 MarketingProfs and Content Marketing Institute recently found that LinkedIn is the most effective social media platform for B2B marketers to distribute and promote content marketing assets. Instead of searching through countless websites looking for best practices, we’re taking you straight to the source. 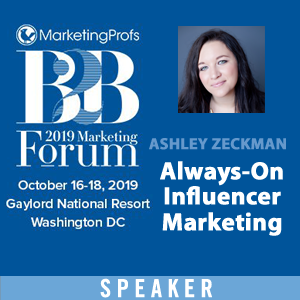 We have partnered with MarketingProfs to bring you insights from some of the top speakers that will be presenting at MarketingProfs B2B Marketing Forum (October 20 – 23). Marketing executives are more challenged than ever to create effective organizations and operations to succeed in an increasingly converged, content and inbound marketing world. 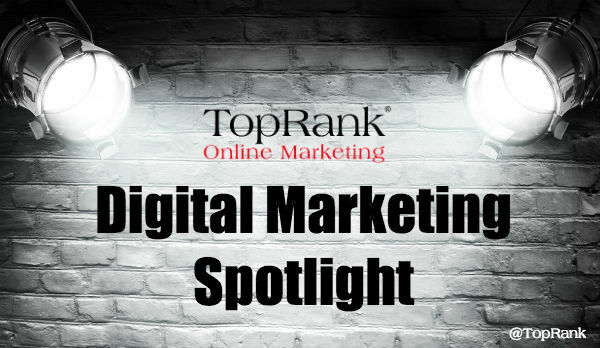 In this latest TopRank Marketing Digital Marketing Spotlight interview, Rishi Dave, CMO at Dun & Bradstreet, talks about the strategic responsibility differences of entering a CMO role, advice on creating an effective inbound marketing organization, the importance of content, the convergence of marketing and PR and whether senior executives should focus on their personal brand. It’s been nearly two years since you moved from being Executive Director, Digital Marketing at Dell to your current role as CMO at Dun & Bradstreet. What are some of the changes you had to make in terms of your responsibilities, marketing organization and the change in industry? One of the most important jobs we have as marketers is to find a way to be the best answer for our customers, when and where they are looking. With so many new platforms to test on a consistent basis, it can be hard to move through the clutter and find ways to connect that will better engage your target audience. Social media platforms provide new opportunities to resonate with your customers. Each time a new social media platform launches, there are the early adopters that explore how the platform works, test to see if it’s stable and then figure out how it can best be leveraged. One of the biggest platform launches of 2015 was the live video streaming app, Periscope. As of August 2015, Periscope had a total of 10 million users, with over 40 years’ worth of video viewed every day. While those are all great examples, there’s an important question: Can your business really afford to hire the kind of editorial team to create this quantity of quality content at the cadence of a business publication? Many practical marketers will say no. The trend towards brand publishing in combination with self directed buyers guiding their way through the sales process with content creates an interesting conflict between the need for an up level on quality content production with a corresponding increase in content creation resources. One of the biggest problems that many marketing organizations are facing today is creating quality content on a consistent basis. It can be a challenge to make sure every piece of content you produce is effective at helping to attract, engage and convert target customers. In fact, according to research from Content Marketing Institute and MarketingProfs, only 38% of B2B marketers state that their content marketing is effective. If you are one of the 62% of marketers that really need to improve content marketing performance, we have just the ticket. Literally! 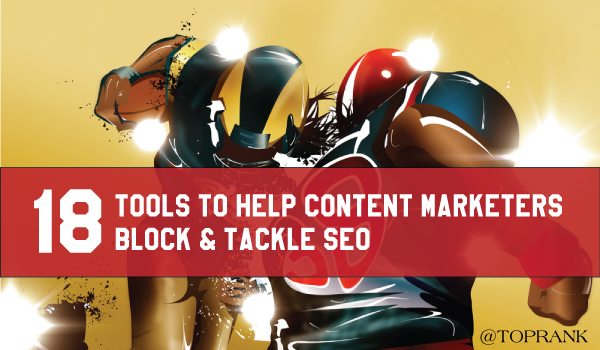 Our friends at MarketingProfs are hosting a series of workshops focused on helping marketers reach content marketing success. 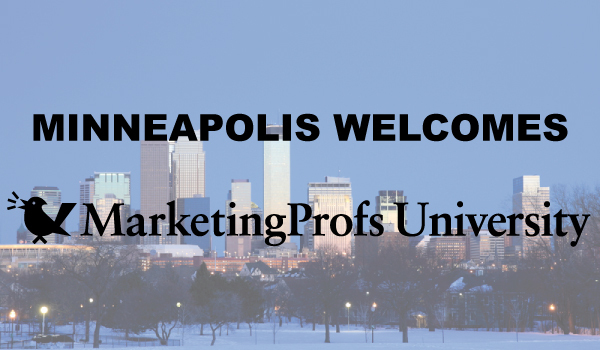 From September 30 through October 2nd, these workshops will be held in Minneapolis. 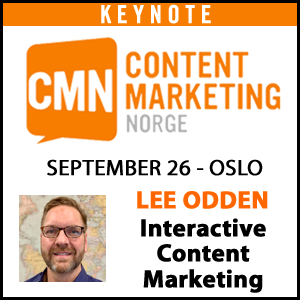 Content Marketing World is the largest content marketing conference in the world. To say that the team from TopRank Marketing was excited to attend, is putting it lightly. 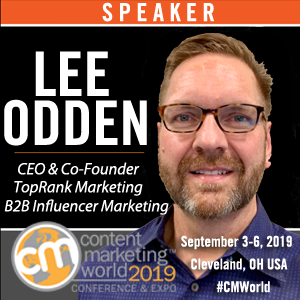 Lee Odden, Alexis Hall, Josh Nite and I made the journey to Cleveland to learn from some of the best and brightest content marketing minds in the industry. In a perfect world we would have been able to attend every session, but we consumed, live blogged and shared all that we were physically able to do. 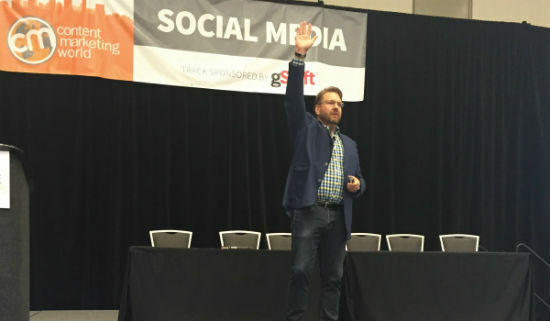 Below are some of what we considered to be the top takeaways and best speaker quotes from Content Marketing World 2015.